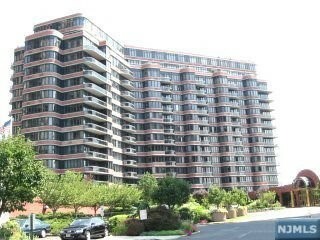 Carlyle Towers: The Way It Should Be! 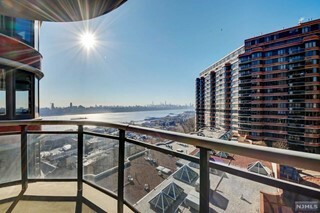 Carlyle Towers was built in 1991-1992 on the original site of the Palisades Amusement Park, almost 200 feet above the Hudson River with spectacular views of the NYC skyline. 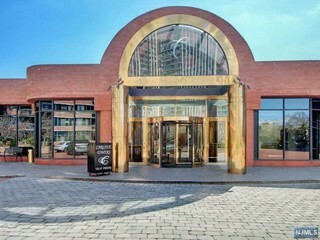 This 2 building complex consisting of 340 units attached by a stunning lobby atrium seating area is the epitome of style and sophisticated luxury. Stunning views at every hour of the day abound at this magnificent palace on top of the Palisades. 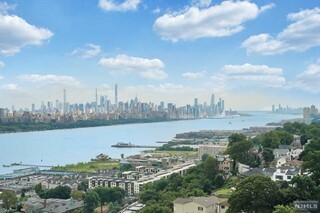 Owners of the opulent condominiums can look out from 200 feet above the Hudson River and admire the most sensational views from the George Washington Bridge down to the Statue of Liberty and The New York City Harbor. 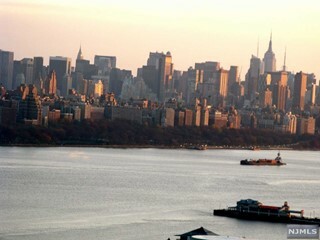 As sunset reflects off the skyline, it is noteworthy of the finest landscape photographs around. 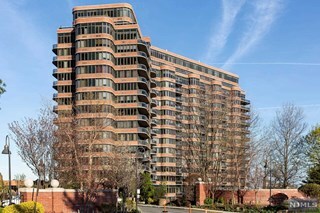 Carlyle Towers was designed by the renowned firm of Kostas Kondylis Associates . One enters a limestone lobby with a 4-story cascading waterfall descending into an interior colonnade below. The visual and optical effect is one of utter tranquility and harmony and coupled with the brilliant light emanating from the vaulted skylights onto the richly colored marble floors and brass trim, adds to the aura of importance. 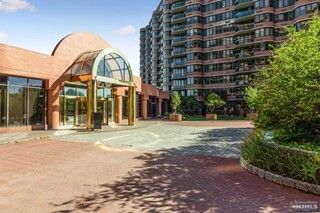 The private resort-style landscaped entry road is a cobblestone courtyard with a signature glass-enclosed cochere. 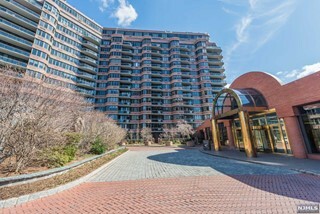 Once into the complex, you are greeted by friendly valets and doormen, who take your groceries and deliver them to your residence. 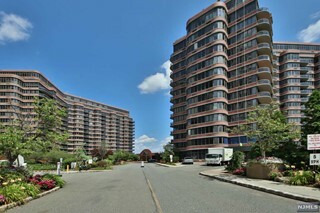 Landscaped grounds and a grassy area overlooking NYC surround the complex. Close by is one of the finest gourmet food shops in all New Jersey. Cafasao's Fairway Market. 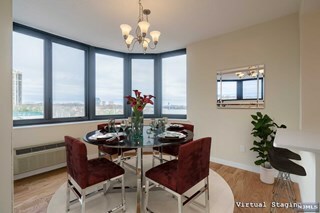 1 bedroom/1bath at 856 square feet. 1 bedroom /1.5 bath at 1,136 square feet. 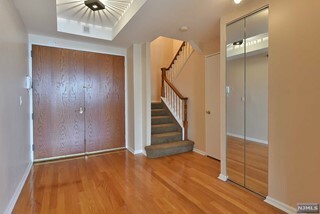 2 bedrooms/2.5 baths at 1,493 - 1,633 square feet. All residences have 9' ceilings and penthouses have 10' ceilings. 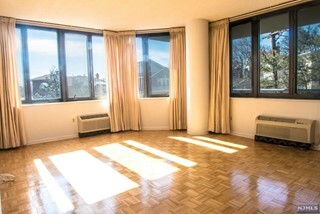 Spacious living rooms have hardwood flooring, private balconies and formal entryways with direct lines of sight to the views outside. 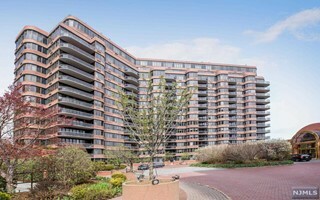 Many of these fine units have since been updated and prices now depend on the ty[e and amount of upgrades and view corridors within each unit. 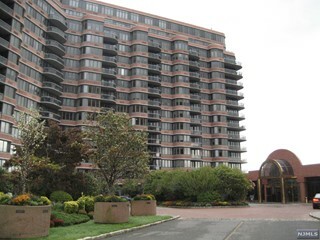 The complex is just 2 miles from the entrance to the George Washington Bridge and the entrance to 1-80 and Rt.4 as well as mall shopping in Hackensack and Paramus. The NJ Transit buses 156 and 159 New Jersey are across the street. 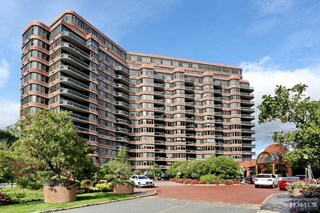 Carlyle Towers residents have some of the finest "White Glove" service of any complex in the area. 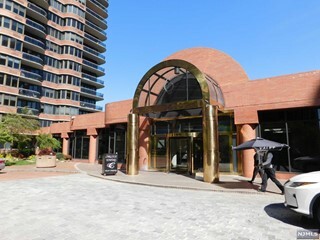 You will be greeted by 24-hour concierges and doormen. There is Valet Parking service and grocery delivery from your car to your apartment. 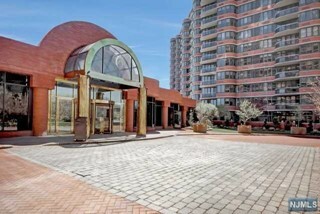 Amenities include a community room, outdoor swimming pool as well as use of the world class fitness center and spa (including an Olympic size indoor pool, outdoor running track and children's play room) at The Palisadium Spa next door to the complex. 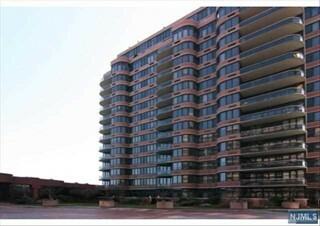 The complex has on site maintenance and gorgeous landscaped grounds. 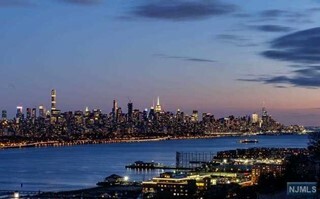 Shopping and restaurants as well as a movie theater are nearby in Edgewater and along Anderson Avenue, the main shopping street in Cliffside Park, Anderson Avenue, is being undergoin a significant regentrification project..